Di World Health Organisation (WHO) don change mouth, collect appointment of goodwill ambassador wey dem bin give Zimbabwe President Robert Mugabe. Na for inside statement na im di new oga of WHO wey be Dr Tedros Adhanom Ghebreyesu say "I don listen well-well to everybodi wey don talk dia mind, and I don also talk to di government of Zimbabwe. We don see say dis na di best decision wey go help WHO." Di appointment wey dem bin give President Mugabe na as goodwill ambassador for non-communicable diseases. Different people, opposition for Zimbabwe, and many human and civil rights people bin open mouth, criticise di appointment well-well; someeven vex on top di matter, after Dr Ghebreyesu bin praise Mugabe say im dey committed to public health but many people no gree with Dr Tedros. One of di people wey no gree with WHO decision na Zimbabwe human rights lawyer Doug Coltart, im ask on top Twitter how WHO feel say dem go get ''Goodwill Ambassador wey destroy di health sector of im country." Other people wey criticize di decision na UK government wey talk say na ''surprising and disappointing'' decision because di country get human rights issue record, dem also warn say di decision fit spoil WHO work. For Canada, Prime Minister Justin Trudeau say im think say na ''bad april fool joke'' while di US state department talk say dis one no rhyme with ''UN idea of respect for human right and dignity''. 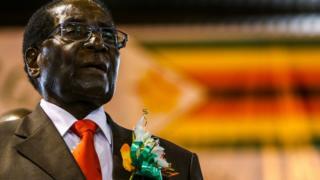 No be today EU and US dey accuse President Mugabe of human rights abuse. Dr Tedros bin talk say Zimbabwe na country where ''universal health coverage and health promotion dey di centre of government policy and dem dey also provide health care to everybody'' but after di reaction of di world now, Dr Tedros talk again on Saturday say im dey ''reason di matter again based on WHO values''. Mugabe suppose through di appointment be goodwill ambassador, help fight disease wey no fit move from one person to another, like heat attack and asthma. Mr Tedros na di first African person wey go lead di World Health join bodi and dem elect am for May so im go fight politics wey dey go on for WHO.